Oxford University ရဲ႕ တြဲဘက္ပါေမာကၡျဖစ္သူ Dr. Imad M.Abbadi ေရးသားတဲ့ Cloud Management and Security စာအုပ္ျဖစ္ပါတယ္.. မူရင္းတန္ဖိုးက 109 ေဒၚလာ ျဖစ္ၿပီး Sharewareonsale က Giveaway Free ေပးတာေတြ႕လို႔ ျပန္လည္မွ်ေဝလိုက္ပါတယ္.. Cloud Management နဲ႔ Security ပိုင္းကို ေလ့လာအသံုးခ်ေနသူေတြအတြက္ တန္ဖိုးရွိမယ္ထင္ပါတယ္..
experience of leading enterprise-scale projects. He works at Oxford University, leading activities to establish the next-generation trustworthy Cloud infrastructure. He has pioneered a novel, worldwide course in Cloud security which has been adopted at the university. 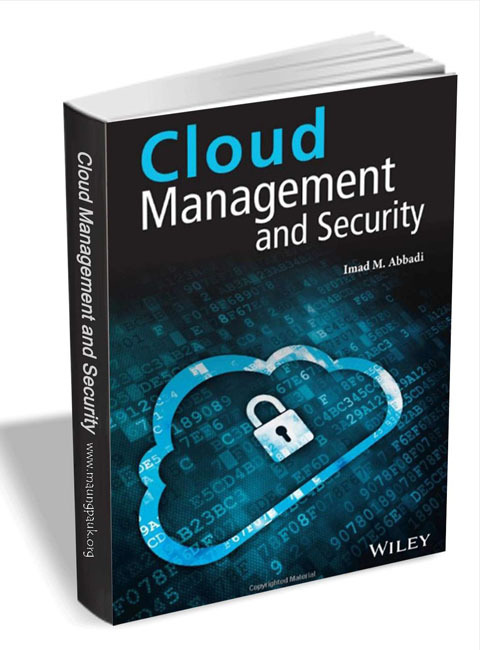 Dr. Abbadi currently teaches his Cloud security course as part of Oxford University’s M.Sc. consultant and senior project manager for enterprise-scale projects spanning several domains, such as finance and healthcare. Dr. Abbadi is a strategic planner who helps several organizations to define their Cloud adoption strategy. Further, he has invented several tools to enhance Cloud trustworthiness and authored more than 40 scientific papers. Written by an expert with over 15 years’ experience in the field, this book establishes the foundations of Cloud computing, building an in-depth & diverse understanding of the technologies behind it.